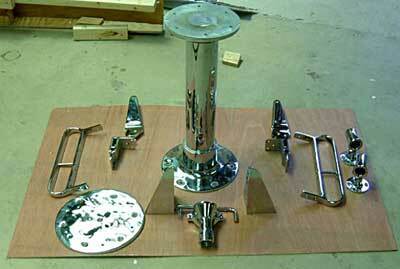 These are all of the Stainless parts I have for the fighting chair. I need two more rod holders and I also need the brakets and legs for the foot rest. The ladderback will be made in the same mahogany as the transom with the remaining parts in white.